Crop Protection Actives is, without a doubt, an indispensable database for every commercial manager within the industry. No other commercially available resource comes even close to Crop Protection Actives in terms of breadth of information, value for money, reliability and simplicity of operation. This is the must-have resource for all who are concerned with the development, marketing or production of agrochemicals. 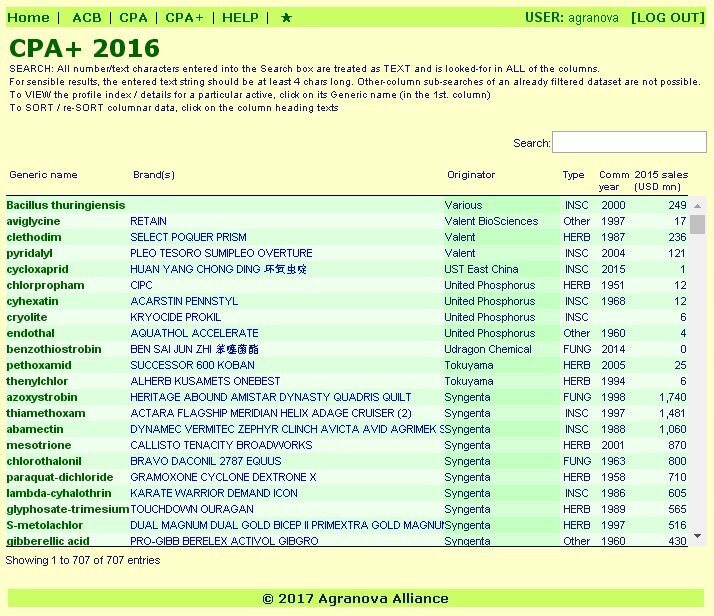 In Crop Protection Actives, Agranova provides a powerful database of essential information on commercial agrochemical compounds. 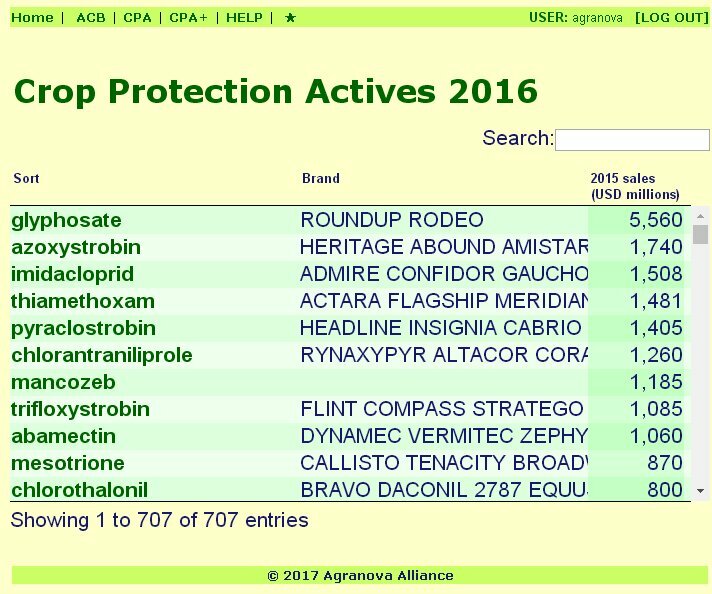 Containing more than 650 profiles, it presents technical and commercial information on all the world's currently available crop protection actives. Commercial and regulatory information summary: Ex-factory price estimates, crop sector usage breakdown (where available, for up to 12 key crops) and regulatory status in the EU, USA and China. On-line access is available by subscription which enables the purchaser the ability to access the database from any internet-linked computer without the need for additional programs.